The Special:Notifications page on mobile renders rather badly (e.g. 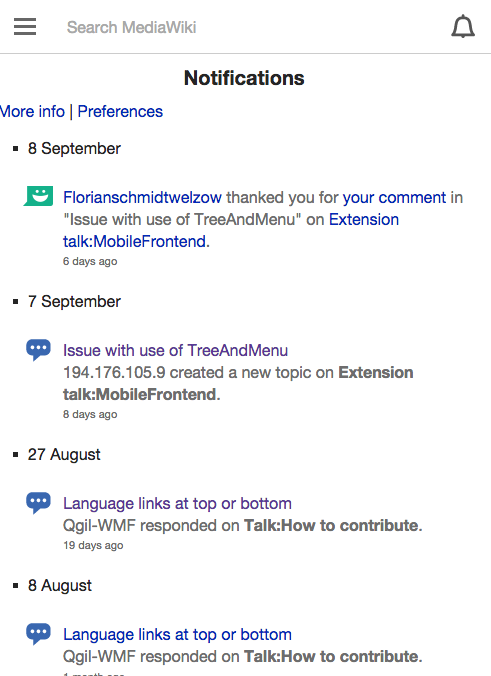 https://m.mediawiki.org/wiki/Special:Notifications ). This is highly visible and prominent in the mobile interface on slow connections. Text should line up with the hamburger icon and never appear left of it. Note: I would suggest using a media query at the 768px threshold to add the padding for desktop users. 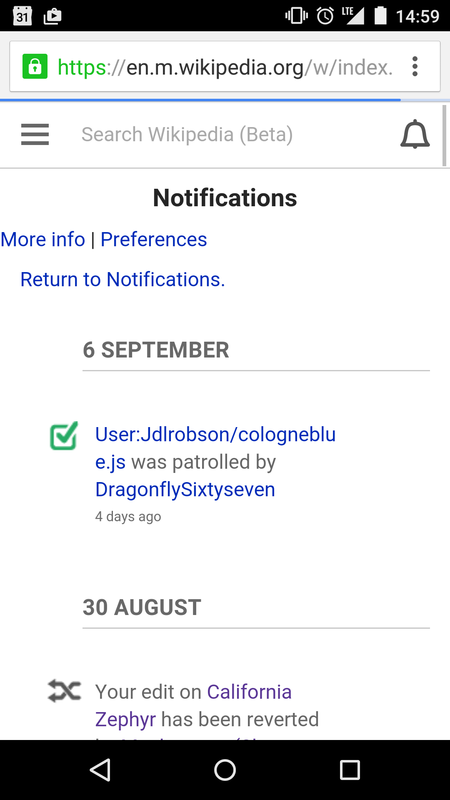 • Jdlrobson added a project: Notifications. • Jdlrobson added a subscriber: Mooeypoo. 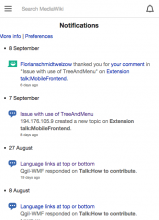 bmansurov mentioned this in rEMFR498e616d7011: Remove SpecialMobileNotifications. Misleading patch hasn't fixed this problem. Echo team please let me know if you need help resolving this. So what did it do? From this task I have gleaned zero understanding of what the issue is, what was done, how well that worked out, what the current state of things is, and what is expected. All information is in the description of this task. You and ignore the other task. Just take a look at the screenshot. For background on the other task it had its own notifications code which was reinventing desktop code e.g. more link which had broken at some point. So we removed it. The code for the special page in Echo is where code changes need to be made.